Way back in 1997, EyeforTravel pioneered the Travel Distribution Summit, an event aimed at bringing together the breadth of the travel industry to discuss the impact of the internet on sales, marketing and distribution. A lot has changed in the past 20 years, from the early days of dial-up right through to the 4G smartphone era we all live in today. The legacy of our ’97 Travel Distribution Summit has been a staple of the EyeforTravel calendar, but with our 20-year anniversary approaching, we are looking to evolve with the industry. As times have changed, so have we, so from now on our flagship European summit will be called EyeforTravel Europe. EyeforTravel Europe will be our largest event outside of North America, and we will be aiming to be the one true EU meeting point for the travel industry. We also want to make sure that attendees can make the most of their time outside of the office. With all of our lives getting busier and busier, especially our work day, taking the time to research the plethora of events out there is never straight forward. This is the basis for building EyeforTravel Europe into the flagship that it is now, to make sure that if you can only make it to one event, it can give you the key insight for the entire year. We always aim to bring the high-level strategic leadership of the C-suite, mixed in with the in-depth knowledge of department heads from key brands to make the event truly inspiring and insightful. So, in 2017 we’ll be back with our most in-depth content yet and more senior execs taking to the stage in our brand new (and much larger) venue in central London on 3-4th May 2017. Looking forward to seeing you at EyeforTravel Europe! A decade and a half ago, when the first set of OTA’s(Online Travel Aggregators/Agents) were born, travel planners were all of a sudden empowered with tools that enabled them to do all kinds of Hotel/Flight bookings without going to a traditional travel agent, while still being able to secure the best deal via comparison shopping. However in a few years, this gave birth to a unique problem of having to search in multiple OTA’s to find the best offer since a deal you found in one aggregator might not necessarily show up in all others. So it was a big headache –esp. to deal-hunters – when it came to finding the best deal available. Thanks to the constant craving for disruption in the tech world, the Metasearch was born. 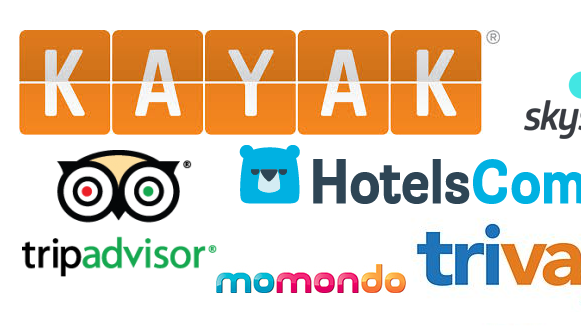 The metasearch platforms (like Kayak,SkyScanner, Trivago etc) started providing a consolidated view of search results that compared travel products across OTAs and hotel brand owners, giving a fast and comprehensive view of product choice and almost instantaneous purchasing option. That is wonderful right? All problems solved! Unfortunately not. The advent of Metasearch did help the users by providing a one stop shopping portal, but soon they also started breeding like rabbits! Shortly, where were so many clones executing on a similar functionality, but with strong disparities in the prices they fetched. So, a user now had to look up multiple metasearches to pick the best offer! So, eventually they didn’t completely resolve the laboriousness of online travel booking, but rather made it more tedious – especially around the hotel/accommodation space. Highlight the differences in the actual product in a better way – Not just as Filters! Evolve the Meta-reviews even further. Understand the consumer behavior to boost hotel bookings. Present to the user only a targeted shortlist through which they can then systematically filter through to find a hotel that suits their specific taste. Replacing the completely impersonalized – and largely unorganized - list with highly relevant & recommended set would help in relieving the users from the typical decision making fatigue they go through. Example: when someone types in a request for a ”boutique hotel in Barcelona that’s great for families, close to the best tourist attractions and has in-room Wi-Fi”, the system should offer a perfect match that meets these preferences. This point is actually well articulated by Derek Halpern in his article Social Triggers, in whichhe demonstrates how offering too many choices can actually overwhelm customers and prevent them from buying. Some Metasearches actually rank the offers based on the Supplier’s performance, but this is quite opaque at this point and more tied to the benefit of the Metasearch(like commission rate, liquidation prospect etc.,) than focusing on the user delight and experience. In any case there needs to be an indicator about how good a supplier is (like how AMAZON.COM does for their marketplace vendors, so that the users can order only from a trusted vendor though there might be cheaper deals offered by an unreliable vendor.